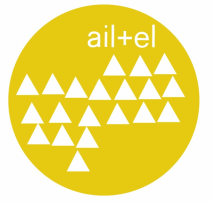 Ail+el have known each other for an awfully long time….. The story begins in Dublin when Aileen Balfe and Eleanor McCaughey started a beautiful friendship. Their great comradery resulted in many adventures and creative endeavours such as rearranging their bedrooms, creating a toilet paper clothing range for Barbie, doing knick-knacks, and pretending to be cats.